Most of the games we talk about here are finished products and on their way to PCs and Consoles in the near future. One of the great things about conventions, particularly PAX, is that you get to see projects that are all over the development map. 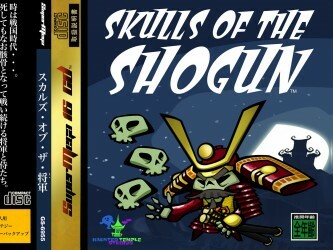 One the ones that really stuck out for us was Skulls of the Shogun, from Haunted Temple Studios. The genre is what the makers like to call Action Strategy. You play as a deceased Samurai General, on his way through the afterlife, and you quickly find you don’t like the way things are run. Not one to take things lying down, even when you are already six feet under, you decide to recruit yourself an army and take matters into your own hands. Good to know dead folks are such team players. 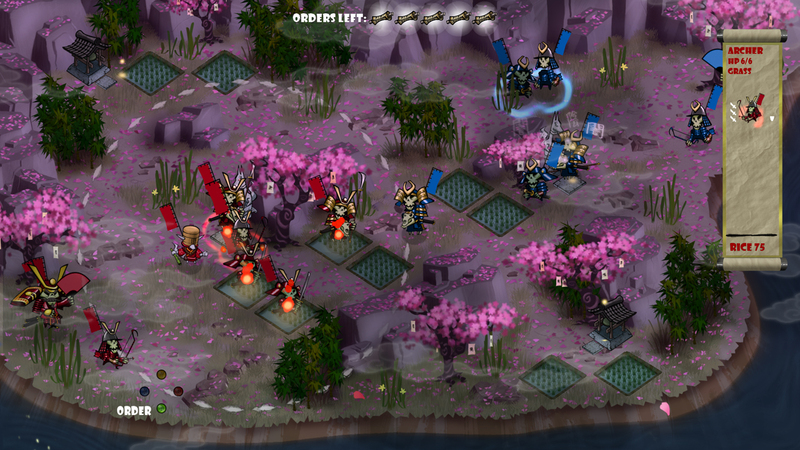 The gameplay is a little bit like Advance Wars or tactics games like FF Tactics or Vandal hearts. 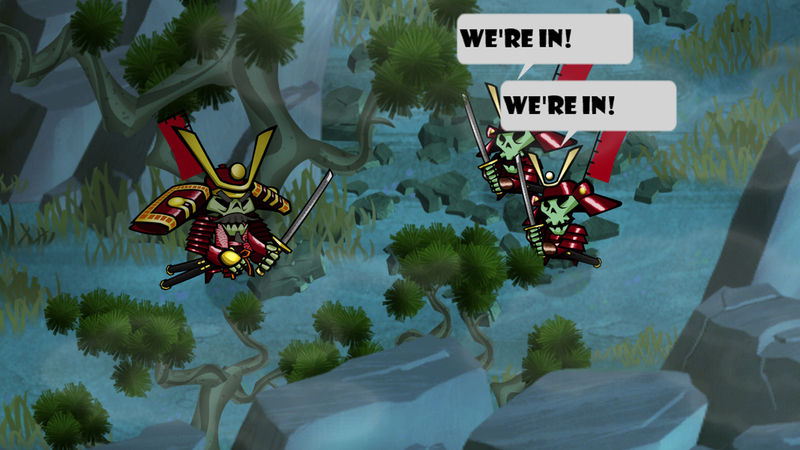 As in those games, you have troops of certain types, and fight in a turn based manner. 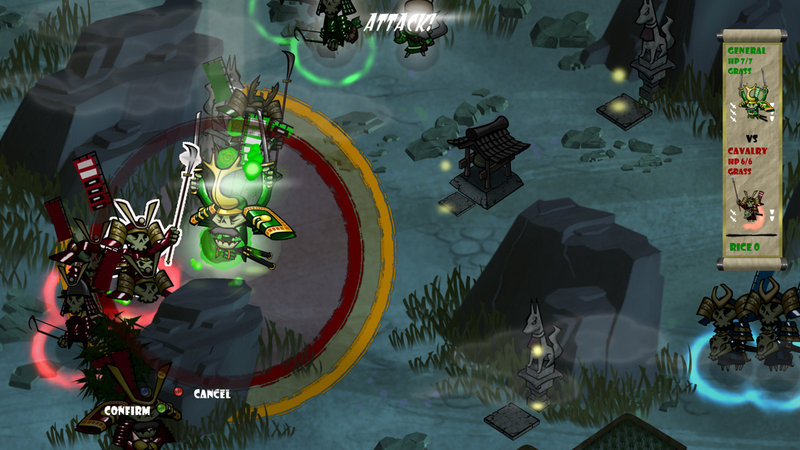 Warriors are moved and given orders one by one, and one must always be mindful of counter attacks. 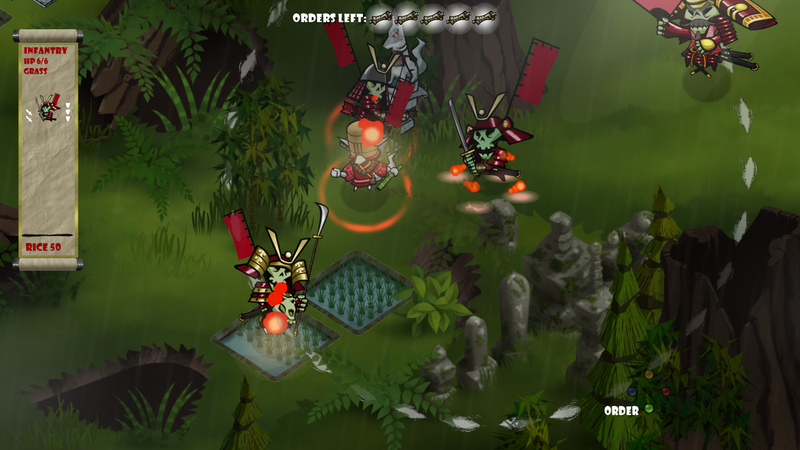 There are gameplay elements that quickly arise to make the game unique, though. For instance, rather than being locked onto a grid, your movement is a circle of range around you. Defeating enemies liberates their skulls, which can then be devoured for boosts, and limits on the number of orders you can issue per round force you to make every move count. I spent some time playing the game at the show, and while a crowded convention floor with a long line of people behind you isn’t the ideal environment to give a strategy game a proper trial, what I saw, I liked. The controls are quick and intuitive. Despite giving several unit types a try and running though multiple rounds, I never once had to bring down a menu. In a game type known for practically living in menus, this was a welcome breath of fresh air. You can smoothly navigate to anything in the circle. While the game itself was smooth and enjoyable, I’d be lying if I said it was the promise of marching troops across a board that had caught my eye as I shouldered through the crowded exhibition hall. The graphics were what really caught my eye. With art by veterans responsible for some of the most visually memorable games in recent memory – Space Channel 5, Rez, Boom Blox – it should come as no surprise that everything we saw had a great style and was dripping with personality. You may have noticed that I have a strong preference for games with clean, sharp cel or vector style graphics, and SotS feeds that need excellently. The characters are divided into individual body parts that, while static, float and move fluidly to animate actions. It is a style of limited animation that is capable of being tremendously expressive with very few frames of animation. Though other games have used it, when the characters are denizens of the afterlife, the effect seems infinitely more appropriate. An animated skeleton SHOULD drift eerily along the ground, limbs held in place by some unknown force. Characters and and settings manage to be dank, ominous, colorful, and vibrant all at the same time, which is a tough trick to pull off. And, as if their work on the GAME’S visuals wasn’t enough, as I write this I am digging through their asset disc, which was made up to look like a Dreamcast import. Nice. Can smoothly navigate to anything in the circle.